The Harvest - Working on our water walls! 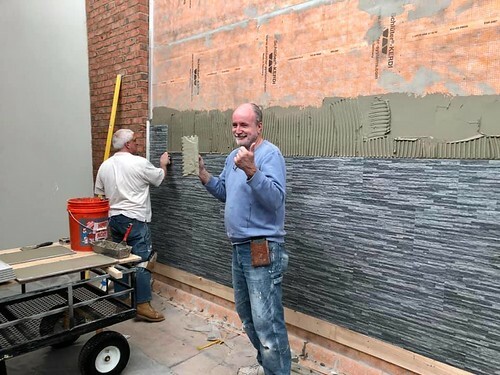 The Thanksgiving holiday isn’t slowing down work on our lobby water walls. This porcelain tile looks just like natural stone, but will handle the wash of water much better. Thanks, Jonathan, John, and Sal!